When I come home and he’s curled up asleep oblivious that I am there. When I touch him gently to wake him up, and he JUMPS UP. When after preparing his breakfast I peek out the door and he is standing there, staring at the kitchen door, waiting for me to stick my head out the door. The one time I clapped my hands to call him (outdoors) and he became confused as to where the sound was coming from, became hypervigilant and started barking at everything on the street. When I watch old videos of Boogie and me interacting (me talking, he responding)… sometimes, I can’t help it… I start crying. Nowadays, I have become much more mindful of my body language and facial expressions when I see Boogie looking at me. Even though I am very sorry to learn Boogie turned deaf, I am happy to the chance of you getting into the world of deaf dogs! I am a dog trainer and just met my first deaf dog client with severe aggression problems. 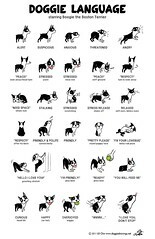 I started figuring out and find there is not much about marker training, BAT etc for deaf dogs. I am sure you will come up with some great ideas to kep Boogie happy, and I hope you will share some of them here. Thank you for commenting 🙂 For reactivity and the training related to that (CC/DS, BAT etc), Boogie’s deafness has not been an issue. When we see a scary person or dog on the street, he still does what he has always done. He turns and looks at me for a treat, or he looks an moves away. If I need to call him, I touch him on the shoulder or side of his body. So that’s the only difference: touch instead of voice. I need to learn and use hand signals for cues… this is something I haven’t done anything about yet. I think watching your face is his way of interacting and reading your emotions. He is obviously thinking about you. I will never forget one time, my ex and I were about to leave the house. We were standing with keys and bags in hand, debating whether or not to bring Boogie with us . 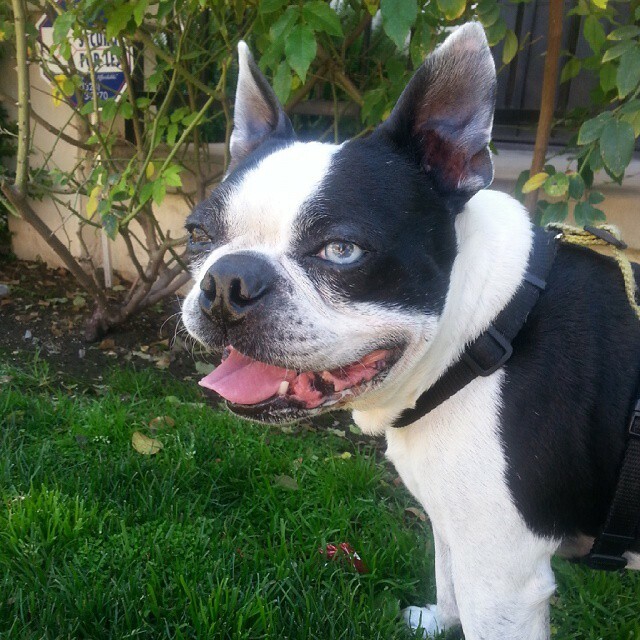 Boogie was sitting between the two of us, looking up at my face, looking at my ex’s face, looking at my face again…. He was watching us very intensely as we weighed the pros and cons. When one of us said to the other – “I think we should leave him at home”, Boogie stood up instantly and ran into his crate.